Microsoft Word download with space to write your reflections. $29.95. Why reinvent the wheel when you can get over 70 pages of excellence in one package? 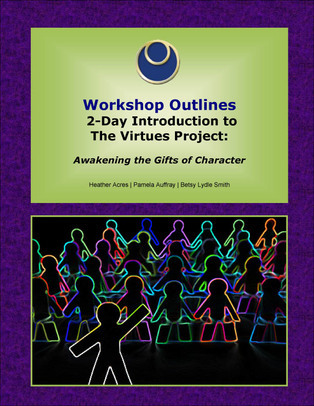 150 pages of outlines, lesson plans, new overheads, activities, and handouts for facilitating The Virtues Project Facilitator Program. 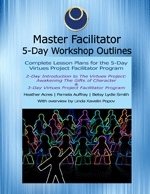 Developed by 3 long-time Master Facilitators, every Master Facilitator will benefit from this wealth of information.